THE ULTRA CLUB: Just a pitching wedge from the 18th green, the ULTRA Club is Michelob Ultra’s premier space to enjoy a light and refreshing beer when you need a break from watching your favorite players on the course. You must be of legal drinking age to enter. CRAFT BEER GARDEN: Let loose your inner brew master at this must-see (and must-sip) destination behind the 15th green. Enjoy different types of IPAs, sours and barrel-aged beers while you unwind and catch up with friends. 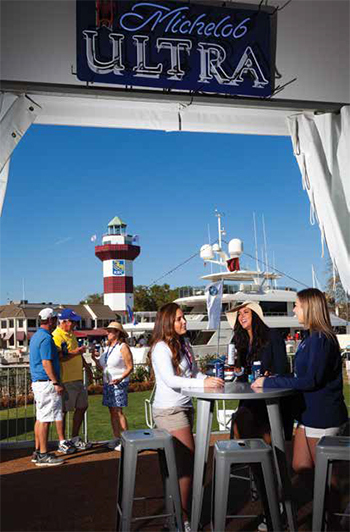 The beer garden is open to all RBC Heritage ticketholders ages 21 or older. TITO’S STILLHOUSE: This energy-filled venue on the 18th hole features signature cocktails, Tito’s swag giveaways, raffles with prizes and a themed photo booth to post pictures with all your friends. The Tito’s Stillhouse Lounge is open daily to all spectators ages 21 and older. WINE AT NINE: Enjoy a glass of wine (or three) at Wine At Nine, located between the first and ninth fairways. This year, the spot will be serving up glasses of wine from famed Meiomi, introducing the label’s new sparkling wine as well as rosé, chardonnay and pinot noir. Fun extras include a photo booth with lots of props, a sunglasses giveaway on Friday and a wine glass giveaway on Saturday. THE CERTIFIED SC GROWN FOOD TRUCK: Located behind the 15th green, this food truck features 100 percent Southern fare and South Carolina-grown treats like seafood po’boys, quail sliders, shrimp salad and veggie wraps. COCA-COLA KITCHEN: New for 2019, the Coca-Cola Kitchen on the Heritage Lawn offers complimentary ice-cold Coca-Cola, perfectly paired with freshly made cuisine prepared on-site. BEN & JERRY’S: It can get hot on Hilton Head in April, but Ben & Jerry’s will be serving up its signature cocktail of peace, love and ice cream on the Heritage Lawn. A stop here also is a great way to bribe the kids to hang on for another hour or two. 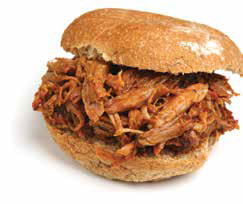 DOC’S BBQ: If you love barbecue and beer as much as you love golf, the Doc’s BBQ ticket is still the hottest ticket in town for Heritage week. A $470 ticket gets you access to tiered seating on the 15th green — and a climate-controlled lounge where you’ll be treated to a daily buffet lunch provided by Doc’s BBQ and Southern Way catering, plus Anheuser-Busch draft beer, wine and Coca-Cola beverages. Spirits are available for purchase.